Yeah, that’s not me in the pic above. That is a model. I am a mortal. The difference is significant. Last week, the day before my 49th birthday, I traveled to the leafy surroundings of Regent’s Park. I was on my way to see what London’s latest high tech facial could do for mere mortals like me. It’s called Meso-CRF® Facial | Centella, but the best way to sum up this facial is herbs and heat. Using a combination of the herb Centella Asiatica and deep tissue radiofrequency, it aims to encourage skin tightening and soften fine lines. As such, it’s aimed at people aged 30 and over who want something fairly intensive, without being an invasive treatment involving injecting things into your face. It’s available exclusively at the LipoTherapeia clinic in London. Centella Asiatica is regarded by many experts as the best herb for skin repair. Centella has been used as a traditional remedy for thousands of years because of its healing powers. It’s also known as tiger grass, because big cats like to roll in its leaves to soothe their wounds. I’ve come across centella before in Korean skin care, but it’s not yet widely known in the West. Kiehl’s have a couple of centella-based products and Clarins use it in several of their firming skincare products, but that’s about it. It’s one of those skincare superstars that flies under the radar for years until it becomes the Next Big Thing. What happens during the Centella facial? To start with the Meso-CRF® Facial | Centella treatment, the skin is cleansed and the centella paste is applied. 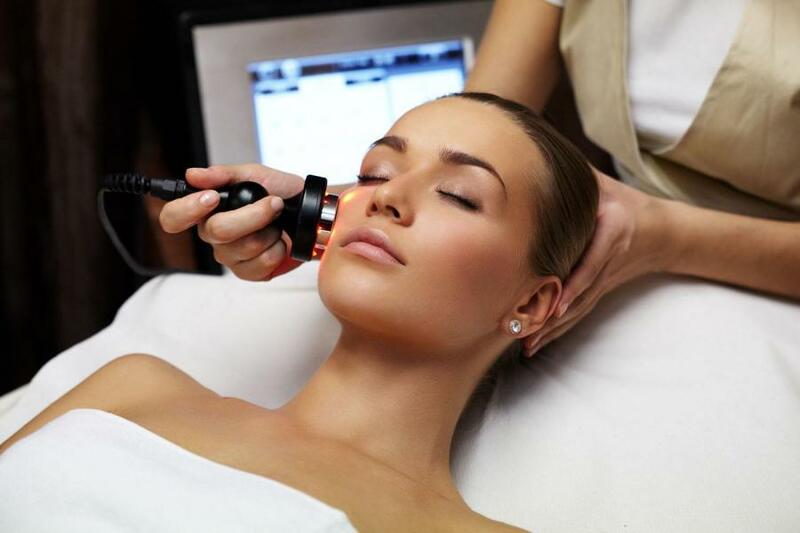 It’s then carefully massaged into the skin using deep tissue radiofrequency. This aims to reach the deeper layers of skin and help it to tighten from within. 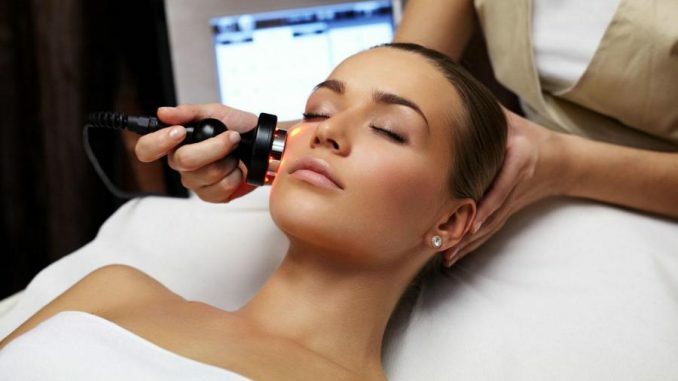 It involves a heated wand being massaged around the face repeatedly. This also increases the amount of centella being absorbed by the skin. It’s not uncomfortable – I found it quite relaxing – but it is intense. 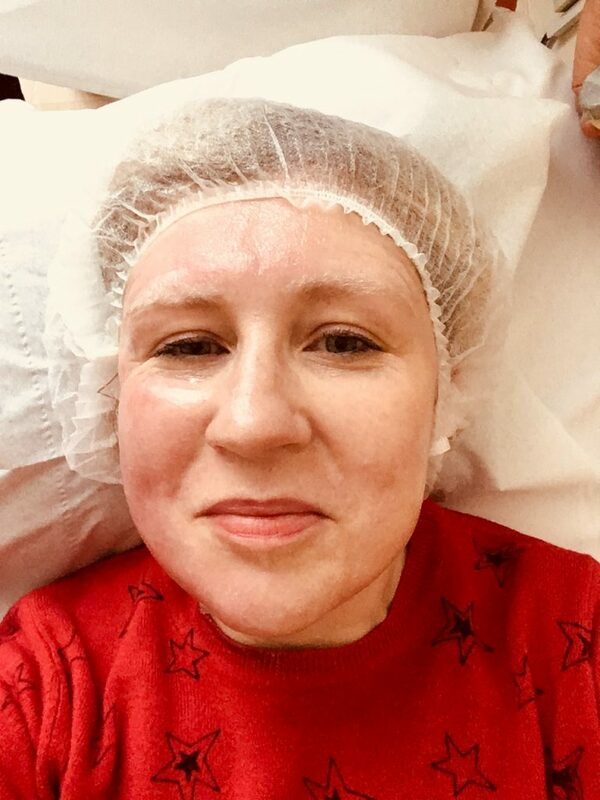 One thing I liked a lot about this facial is that the treatment includes jawline (jowls!) and the top of the neck. You get to wear a fetching hat too! After around 40 minutes’ heat treatment, soothing and moisturising hyaluronic acid was firmly massaged in. This final 10 minute massage works to relax the facial muscles and boost lymphatic drainage. LipoTherapeia director Georgios Tzenichristos is quite clear that this isn’t an instant fix. You’re not going to walk in looking 45 and walk out looking 25. It’s often been compared to Botox, but it is a different sort of treatment. It works on both the visible and deeper layers of skin at the same time. A week on, I can genuinely see a difference in my skin. The biggest difference is around the eyes, and I noticed that from day one. The skin has plumped up quite a bit, meaning that there are less visible lines. Today I can also see a difference in the lines around my mouth which appear to me to be smoother than they were a week ago. I doubt that anybody other than me would notice this difference, and it doesn’t really show up in photos, but it’s a question of feeling and looking refreshed. 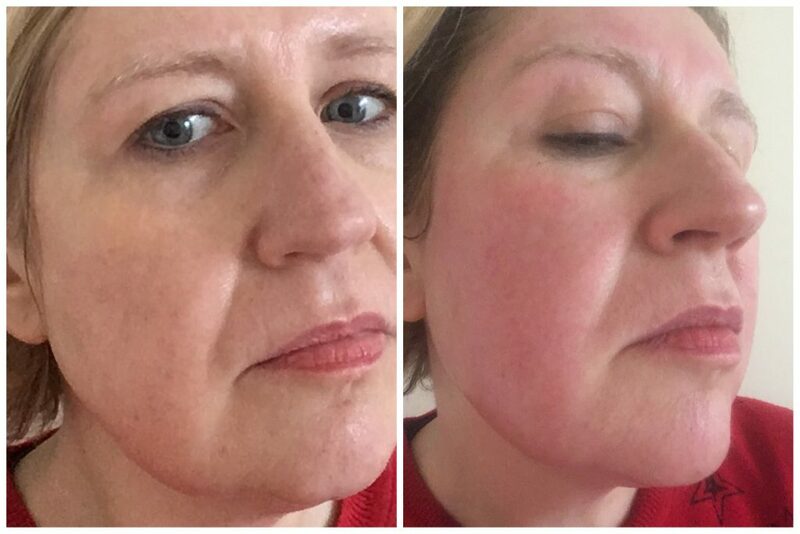 As you can see from these pictures taken immediately before and after, the treatment does leave the face a little pink, but not so much that you’ll scare the horses exercising in Regent’s Park. All in all I would say this is a great treatment to do before a special event, though I would do it a few days before to give it time for the treatment to work through the skin. It’s a good choice if you want something innovative and intensive but not involving needles, as it combines traditional herbal remedies with a high tech approach. Meso-CRF® Facial | Centella treatments typically cost £145 and are offered exclusively at LipoTherapeia which is located at The Hale Clinic, 7 Park Crescent, London. For bookings, visit lipotherapeia.com/book2 or call 02071182014.